David fans are the best gifters ever. Most of the time they want to remain anonymous. We want to thank them all who have so selflessly gifted. Here are a couple of thank yous we’ve received; not all sent them, but as long as they are loving David Archuleta and his music, all is well. Hey guys, it’s Georgette here! Haha, sounds familiar? Well seemed like a good way to start this email since that’s how David begins his video blogs every time he makes one, and I love how he does that. 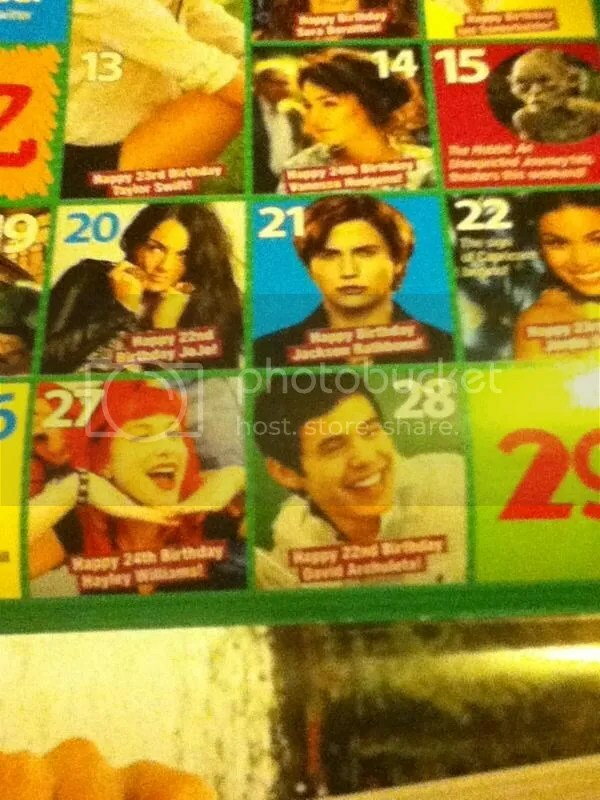 I became an “Archie” or “Arch Angel” as I watched the episode of Hannah Montana on Disney Channel 2 years ago. 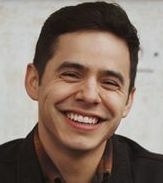 I felt an incredible connection with David and his way of being caught my attention, so I searched for him in Google (as anyone who wants to know a little more about someone LOL) and what I liked the most is that David has Latin family! wow! That shocked me very much, so I quickly went to YouTube and looked for videos of David speaking in Spanish… I was shocked! Not only by his way of speaking, but by its simplicity, humility, passion and all the feelings I noticed when David speaks, sings or simply expresses himself. 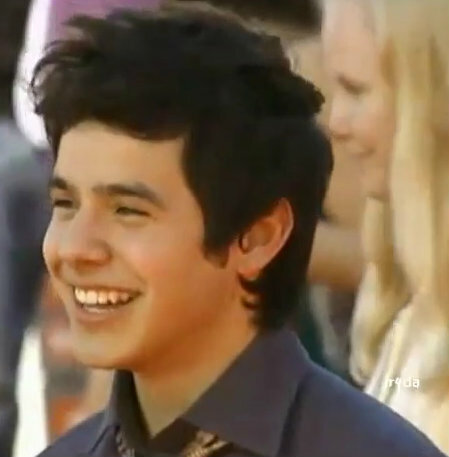 I also noticed that David participated in American Idol and came in second place, so I looked for the songs that he sang and all performances on YouTube. What else did I do? Download all the songs obviously! I converted to an Archie at around September, a little before the release of The Other Side Of Down. I remember it very well. 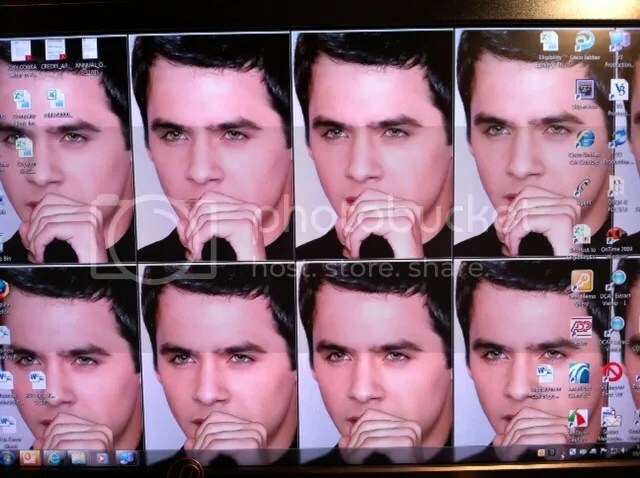 On http://www.DavidArchuleta.com page there was a countdown marking the days until 5 October. After downloading his songs I looked up the lyrics and I learned them very quickly. 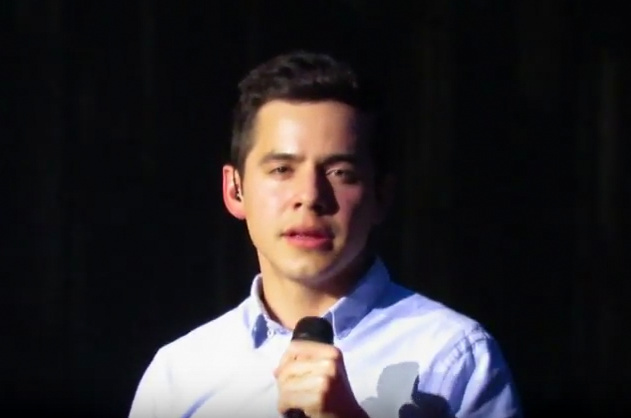 The connection I felt with David was very deep… he was not only “David Archuleta” he had become everything and more than I thought. I remember feeling inspired with the lyrics of his songs from TOSOD. For me David is one in a million. The simplicity and modesty that he shows are a great inspiration for many people. Not many artists are like this. I’m in love with the fact that David sings because he loves singing and music, not because he is interested in fame or anything else that comes with it; He only sings because the music is his life. 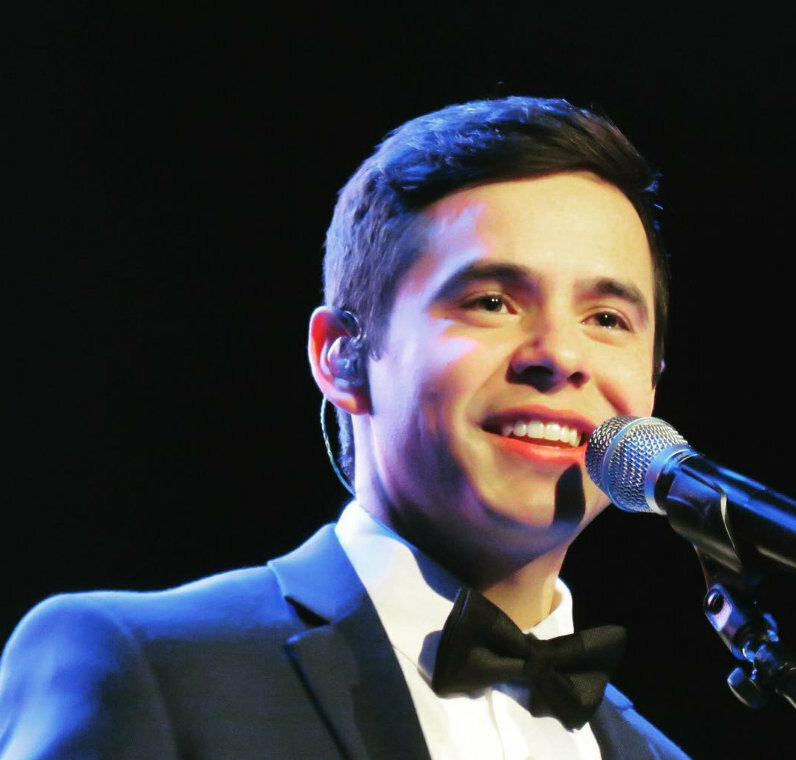 David can’t imagine doing anything else that is not singing, and I can’t imagine listening to different music than that of David. 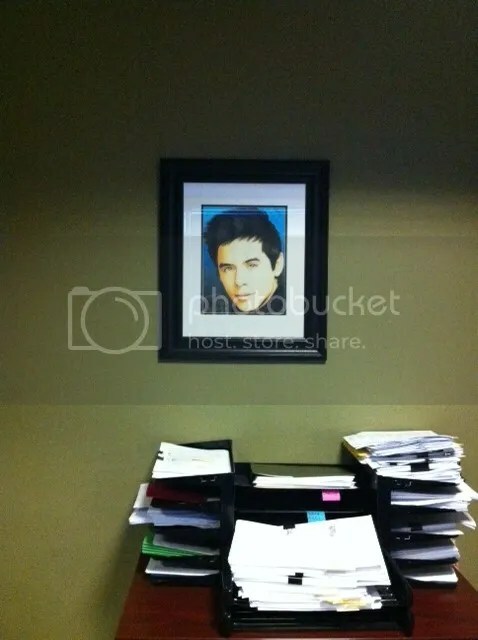 It’s as simple as this, if there is no David, there is no Georgette because David is part of me and I see him as a very important person in my life. The things that he taught me cannot be counted with a finger and I am really thankful for it all. 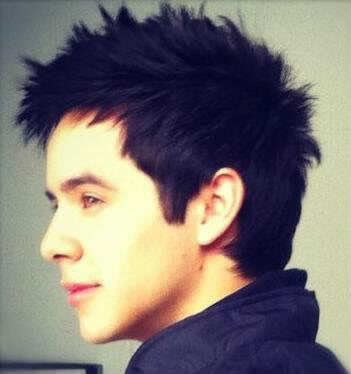 I sometimes think, “how can there be people who don’t like David? Or, people who like David, but don’t feel as inspired as I am? 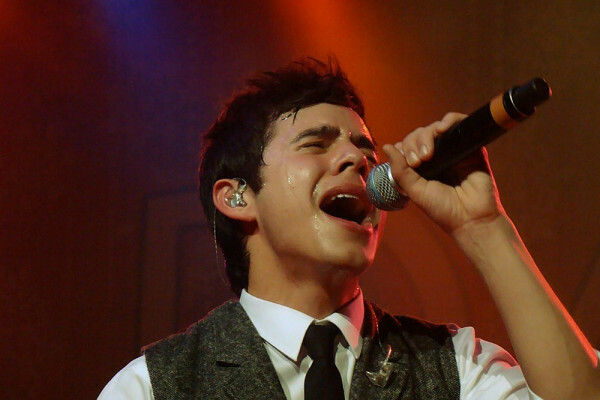 Don’t they feel his music like other Archies? It is not easy to say, but I’m sure that if they stopped a moment to listen to any song, the words, it will be an inspiration because what you feel when David sings is contagious… you can see in his eyes, his way of expressing that he has a message behind each song and I am proud to say that I know that message. I now understand the message better. When David announced that he would leave on a mission for the Latter Day Saints Church, my heart broke… but I couldn’t be happier! David would be serving his church for 2 years preaching the word of God, the person who has taught me many things I know and I give thanks to him for putting David in my path and now David will reach more people. Wow that is incredible! To make a long story short. I give thanks to The Voice for all that you do for the fans. Thank you for sending me a copy of Forevermore and the amazing bracelet … David: You’ve become part of my soul. Hey guys, it’s Georgette here! Haha, sounds familiar? Bueno me pareció una buena forma de empezar este email ya que así empieza David sus video blogs cada vez que hace uno, y amo la forma en que hace eso. Yo me convertí en una “Archie” o “Arch Angel” mientras veía el episodio de Hannah Montana en Disney Channel, hace 2 años. Sentí una conexión increíble con David y su forma de ser me llamó mucho la atención, así que lo busqué en Google (como toda persona que quiere saber un poco más acerca de alguien LOL) y lo que más me gusto es que David tienen familia LATINA! wow! Eso me impactó mucho, así que fui rápidamente a YouTube y busqué vídeos de David hablando en español… Quedé impactada! No solo por su forma de hablar, sino por su sencillez, humildad, pasión y todos los sentimientos que noté en David al hablar, cantar o simplemente expresarse. También noté que David participó en American Idol y que quedó de segundo lugar, así que busqué las canciones que cantó y todas sus presentaciones en YouTube. Qué más hice? Descargar todas sus canciones OBVIAMENTE!!! Me convertí una Archie al rededor de Septiembre por lo que faltaba poco para el lanzamiento de The Other Side Of Down, lo recuerdo muy bien. En su página www.DavidArchuleta.com había un conteo regresivo por los días que faltaban para el 5 de Octubre. 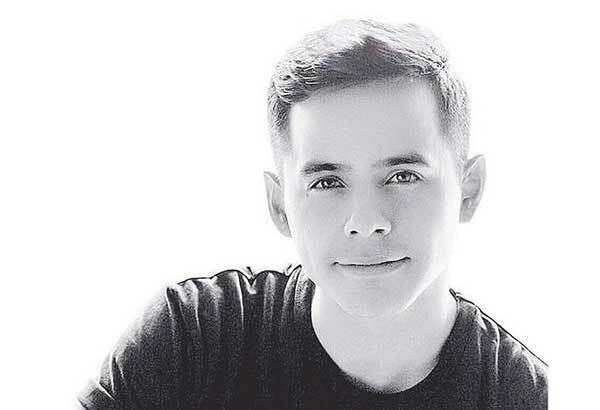 Luego de descargar sus canciones busqué las letras y me las aprendí muy rápido, es que la conexión que sentí con David era muy profunda… no solo era “David Archuleta”, él se había convertido en todo lo que pensaba. Recuerdo haber sentido una inspiración muy fuerte con las letras de sus canciones desde su primer CD hasta TOSOD. Para mí David es uno en un millón, su sencillez y modestia que expresa son de gran inspiración para demasiadas personas y eso no lo tienen muchos artistas. 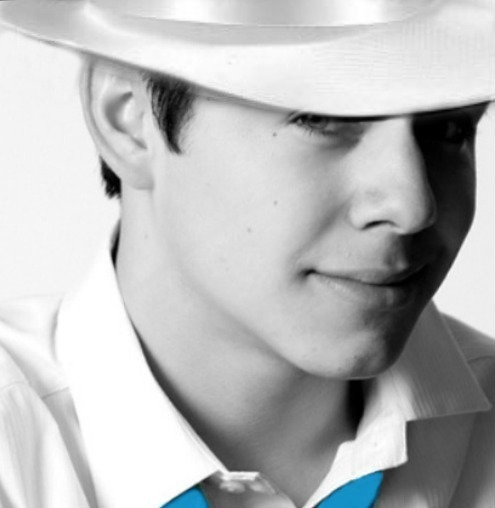 Estoy enamorada del hecho de que David solo canta porque ama cantar y la música, no porque le interesa la fama o cualquier otra cosa que venga con ella; él solo canta porque la música es su vida, no me imagino a David haciendo otra cosa que no sea cantar y no me imagino escuchando otra música que no sea la de David. De una manera más sencilla: No hay David, no hay Georgette; porque David ya es parte de mí y lo considero como una persona muy importante en mi vida. Las cosas que él me ha enseñado no se pueden contar con un dedo y estoy realmente agradecida con todo. A veces pienso, ¿Cómo existe gente a la que no le gusta David? O, a la gente que le gusta David, ¿se sentirán tan inspirados como yo? ¿Sentirán su música al igual que otros Archies? No es fácil decirlo, pero estoy segura de que si se detienen un momento a escuchar cualquier canción de él y entender las letras, lo sentirán porque la inspiración es contagiosa al igual que los sentimientos que siente David cuando canta… se puede ver en sus ojos y en su forma de expresarse que él tiene un mensaje detrás de cada canción, y estoy orgullosa de decir que sé cuál es ese mensaje. Y ahora mucho más conozco el mensaje. Cuando David anunció que partiría en una misión para la Iglesia de los Santos de los Últimos Días, mi corazón se partió… no podía estar más feliz!! David estaría sirviendo para una Iglesia por 2 años predicando la palabra de Dios, la persona que nos ha enseñado muchas de las cosas que sabemos y le doy gracias a Él por poner a David en nuestro camino; y saber que ahora David llegará a mucha más gente?? Wow eso es increíble!! Para no hacer esta historia más larga me despido agradeciendo a The Voice por todo lo que hacen por los fans, gracias por enviarme una copia de Forevermore y el increíble brazalete… David: Te has convertido en parte de mi alma. Hello, first of all I want to thank you TheVoiceDavidArchuleta and Blueberry Ice from CA, thanks to you I have this wonderful FOREVERMORE Cd and also to SandyBeaches from Canada for the beautiful bracelet she gave me. INFINITE THANKS! 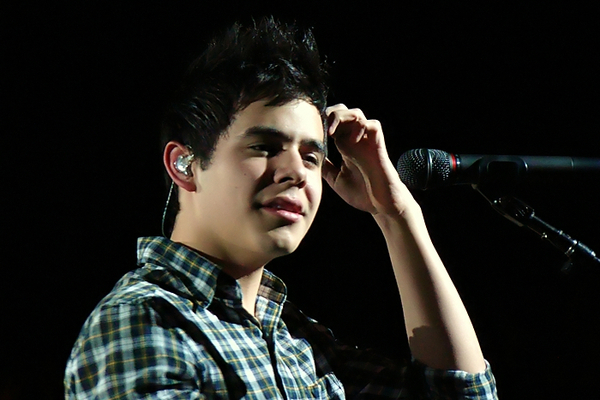 For me DAVID is more than an Idol, why? Because he is simple and humble despite being a famous artist, he has never changed and remains as who he is. I love his personality, so humble and generous to all, it is really admirable. 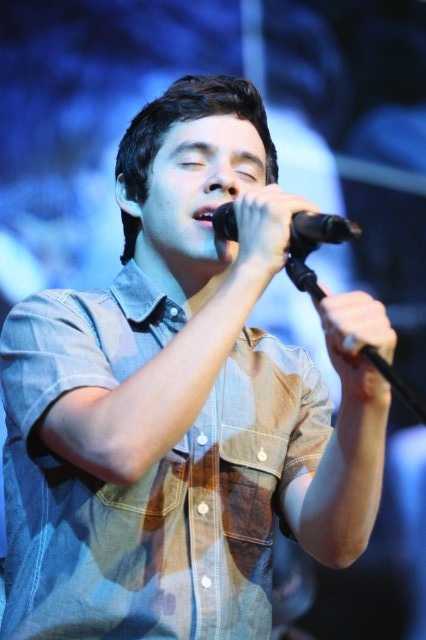 David Archuleta is without a doubt a complete artist! In addition to a great human being < 3! – ALWAYS delivers the best in every interpretation. – ALWAYS supports his friends. – ALWAYS cares for those around him. – ALWAYS attends to his fans and talks with them. – ALWAYS is attentive to everyone. Hola, primero que nada muchas GRACIAS a TheVoiceDavidArchuleta y a Blueberry Ice de CA, ya que gracias a ustedes tengo este maravilloso Cd FOREVERMORE y también a SandyBeaches de Canadá por la hermosa pulsera que me obsequiaron. J ¡INFINITAS GRACIAS! Para mí DAVID es más que un ídolo, ¿porque? porque es humilde y sencillo a pesar de ser un famoso /artista nunca cambio y sigue siendo tal como es, amo su personalidad tan humilde y generoso con todos, es realmente admirable. 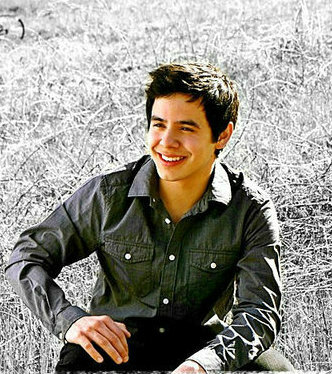 David Archuleta es sin duda un artista completo! Además de un gran ser humano<3! – SIEMPRE entrega lo mejor de sí en cada interpretación. – SIEMPRE apoya a sus amigos y cercanos. – SIEMPRE se preocupa por los que están a su alrededor. – SIEMPRE atiende a sus fans y conversa con ellos/as. – Es atento con todos. 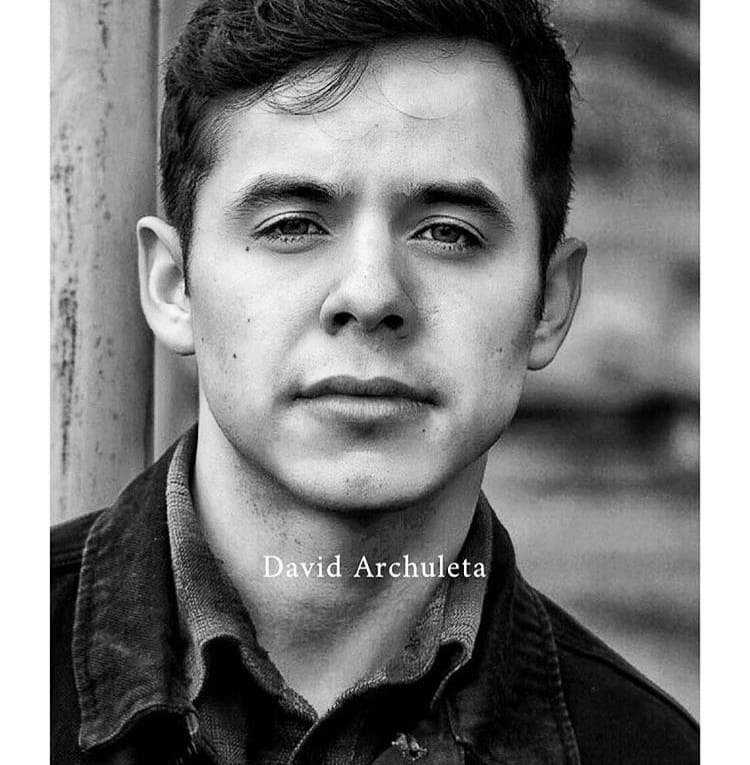 This entry was posted on Thursday, November 1, 2012 at 1:22 AM	and is filed under @DavidArchie, @kariontour, Appreciation, Archies, David Archuleta, fandom, music, The Voice. 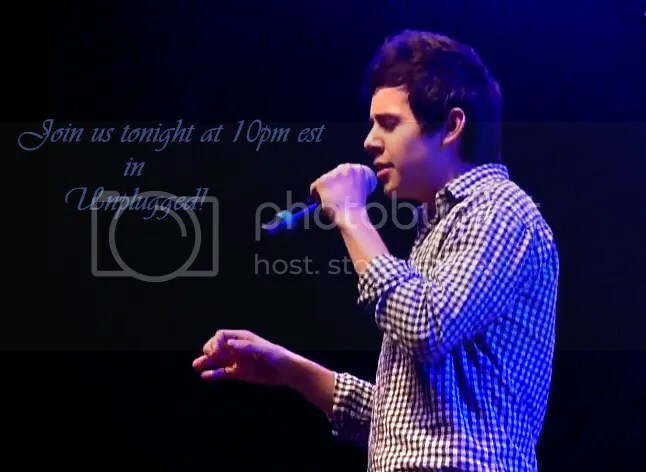 Tagged: Appreciation, Archuleta, Espanol, from the heart, Gotta love him, Gracias, Inspiration, Latin Fans, missing him, regalos, We'll Be Here. You can follow any responses to this entry through the RSS 2.0 feed. You can leave a response, or trackback from your own site. What sweet and appreciative letters from Georgette and Lizbeth. 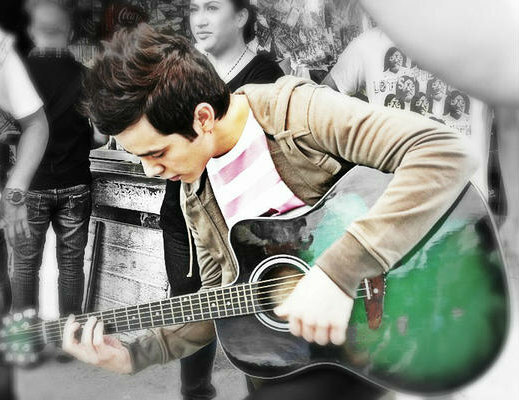 Many of his qualities are shared with his fans. Betsy, you made my day with that LadyV tweet – almost more than you even dare hope for! Quiero darles gracias a estas gran David fans de Sur America. Me encanta oir como admiran y que ven a David como un ejemplo para todos. Estoy de acuerdo. I want to thank these great David fans from So America. I love hearing how they admire and see David as a role model for all. We’re in agreement. Lovely letters from lovely people. Obviously straight from the heart. David truly has the nicest fans. He gently guides us. My favorite Halloween candy was from Abrra. Thanks for that yummy pic on the last thread. My scariest Halloween moment was when I could not access The Voice Unplugged yesterday morning. Eeeeek!! And what a funny story on conehead transporting from Sky! Waiting for more from LadyV. Another exercise in patience. It’s nice to see a face to a name. 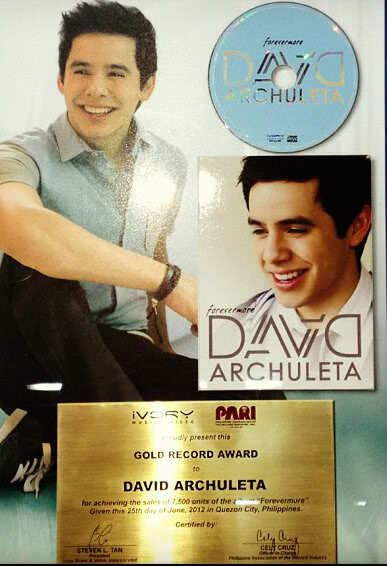 We, as fans send out gifts to other fans fans all over the world who do not have access to buying David’s music. Please buy a few extra copies to gift when you order Forevermore Extended Edition? We get requests in The Voice email and are happy to match up fans who can gift with a fan in need. Thanks for the great read, Djafan! Call me a sap but the two letters brought tears to my eyes. They prove that David’s appeal crosses all barriers in terms of distance, age and culture. Georgette and Lizbeth get David, the same way we do. How cool that he won Georgette over from the Hanna Montana episode! Having had the pleasure of seeing David week after week in my livingroom on AI7, it makes me happy to hear that he made fans from a small role on one episode of a sitcom! I just love that little song!! Voy a tomar lo que dijo Georgette: sin David tampoco hubiera existido Gladys de Argentina. Abrra, that second pic…no words. Bebe, Isn’t it amazing? Hannah Montana? BlueberryIce, same show. You asked me if we only saw the Hannah show would we have become fans, I believe we would have. Did you hear at 1:20? Slays me. Gladys de Argentina, fire when ready! bebe, dja, it’s crazy, but I love that little song too. His voice just harmonizes so beautifully regardless of whom he sings with. Abrra, if you and Angelica want to duel it out I won’t stand in your way. The two letters are awesome! Thanks for posting! What amazing thank you letters. It’s so fun to know that David’s influence is felt in so many places, and yet in so much the same way. Thank you dja for posting them. And the article photo… yeah! Gorgeous!! Oh, and sweaty?! Why does he look so good when he sweats? Nobody else does..yucky! Hi from the ship to everyone. So happy to know that those of you in Sandy’s path are alright. Praying for those who have faced such devastation. 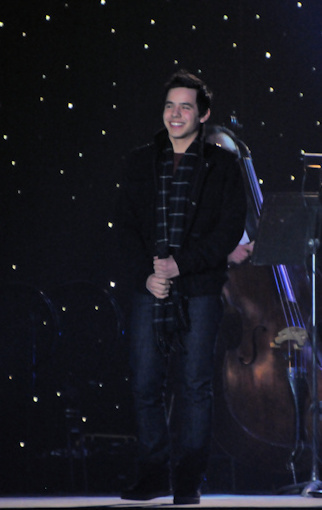 Lovely to read those fan letters and to see how appreciative they are of Archies and David. Can hardly wait now to read the anticipated report from Gladys. Wish I could have been in chat on Tuesday but the internet connection at sea was so slow and was eating up my minutes. Maybe Saturday will be better. Isn’t it amazing, though, to be able to communicate when far away. We are blessed. Love it! 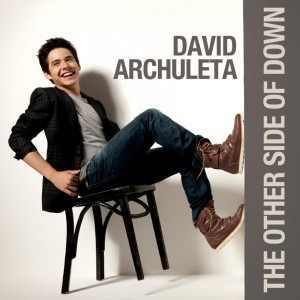 thnx RT @peacesignpam Wouldn’t it be beautiful to c @MichaelWeiss2 skate to this @DavidArchie song BROKEN!! The LadyV tweet is getting me excited!! Could there be a new song in the works?? Thanks for the eye candy. Halloween is over, but you know the next day there is alway left over candy. Treat away! Gladys, can’t wait for the recap! Steno, *waves* Hope you’re enjoying your cruise. Martha, How cool! Wouldn’t it be great so see Michael Weiss‏ skating on TV to David’s song? Dja, thanks for posting the great letters from some awesome fans that also “get” David! So glad that we can spread his voice around.♥ I gave my last copies of Begin and Forevermore to my friend last week that met me in Vegas from Pennsylvania. Last year I introduced her to him and she loves his singing. So I surprised her with his 2 lastest albums and she was so happy. When she flew home she had to get her generator going and prepare for the storm. She emailed me that her and hubby were doing ok. 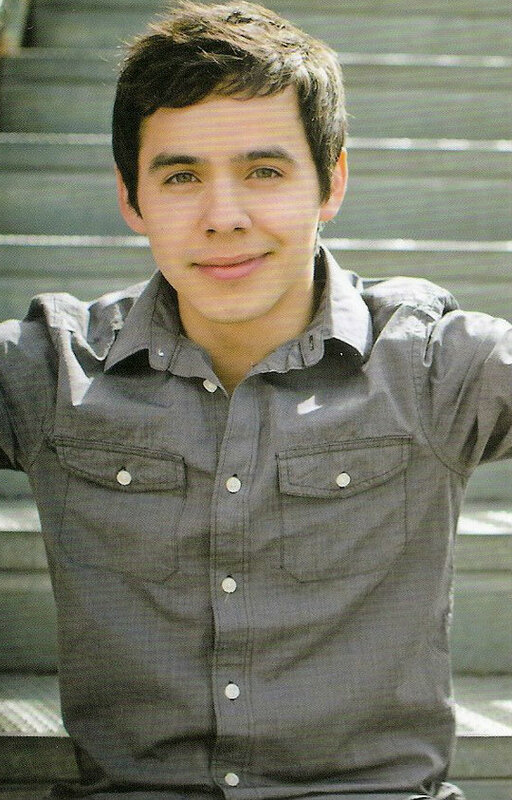 I was standing in line at JCPenney’s today and what to my wondering ears was hearing…why it was our man David Archuleta singing Something Bout Love!♥♥ I was so enjoying every note blaring over the whole store!!! Sooo good to hear from you from your cruise ship! Yes, it’s amazing that we all can communicate from such long distances. Isn’t technology grand? Except when it goes down. LOL Have a great time with your family! Thanks for mentioning us here in the East Coast. Steno. We’re now doing the big cleanup from Sandy. I was out doing errands today and saw stacks of branches on the side of the road. The Adirondack Tree Company Trucks were picking up pieces of nature that are now considered junk. 😦 Although my town never lost power, neighboring towns in CT did and the residents came by to get gas and food. The gas lines are enormous and all of our restaurants including fast food are packed. Some of the roads we normally travel on were blocked with no alternate route given. Sigh. Woot woot! Waiting for Gladys’ recap, coming soon! Edit: Video was removed by youtube user for editing. She reuploaded and now it’s back. Click please. Georgette It’s you! 🙂 Welcome to The Voice! Thank you for the link to Masterclass Lady’s column, a site I always enjoy. Please note that the video I originally posted in comment #22 had been removed from YouTube for editing. It’s good to go now, a nice tribute and worth watching, especially if you like the song “I Hope You Dance” by Lee Ann Womack. Thanks for linking that article. I love d it. Jan…I was in Dillard’s last week when Something Bout Love was playing. Had to grab onto the shelf to steady myself. That was the first time I had heard that song outside of Davidville. I waited to see if it would repeat. No such luck. I actually looked around to see who I should thank for playing David. Found myself in such a state of euphoria I figured I had better not be shopping for the rest of that day. Haha. Martha..really enjoyed Masterclasslady’s story of her grandson listening to David. Children just know good things. Georgette..appreciate you sharing your thoughts. You have my vote when you say becoming an Archie is a best decision. He changes your life in so many wonderful ways. 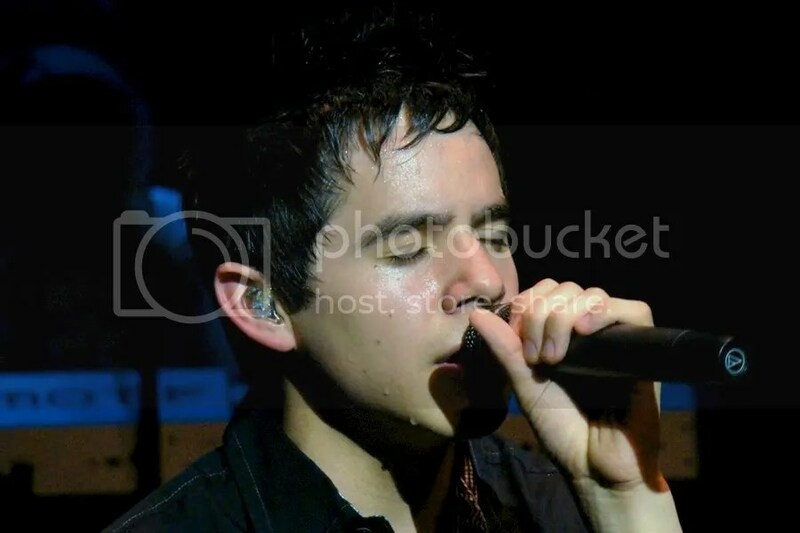 That sweaty pic of David looks like he could be standing in the shower. Martha, thanks for the link to the two write-ups on Little Drummer Boy. It always makes me happy when he gets his due for the artist he is. I really enjoyed watching both performances. The one, as noted, shows his “inner rock star” and the other is more subdued, his beautiful face and eyes filled with emotion. Random – was remembering the other day when he was introduced at Arthur Ashe Kid’s Day as one of the most gifted performers on the planet. No hyperbole there. djafan – I believe David would be there helping if he were here…. Just a quick note. Was in Bed, Bath and Beyond this afternoon and heard Crush playing over the speakers. Unexpected treat. That video is just … *sigh* Love him to pieces. He will sing anything, and everything. Well, you know how old you are,when “happy hour”, Is a nap. Loved reading MasterClass Lady’s article(always do), and the story of her grandchild,So cute!! Dayzee, I know what you mean on how you feel when you hear David out in a store. It’s just so awesome that other people are listening to him too! And it’s so good that his songs are still being heard publicly even though he’s gone for now.♥ Can you believe it was a yr ago that we were planning for MKOC concert. Going to seem odd not to be going to a Christmas concert after going to 3 in a row. 30 and 37 videos……I seen #30 but not #37 but I enjoyed both. 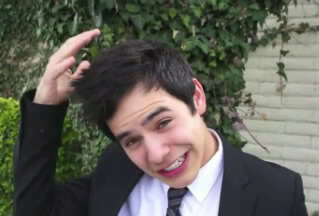 #37 more so because it’s David singing and talking and that beats any and all videos! Sure makes me miss him so much! I can’t get enough of that video at 37 Abrra♥thank you for finding it, and thanks to kkalenaaa,for the absolutely stunning camera work at this VIP. Gahhh! speaking of stunning. The sidebar pictures are so killing me. sky, #37 brought me to tears. First, that mashup of those two songs is brilliance. 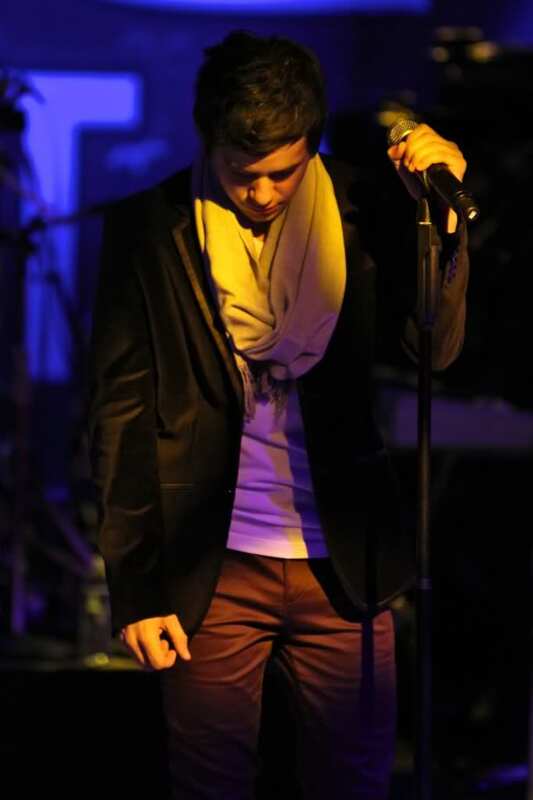 Second, he is unbelievable – that voice, his talent, his passion, his caring. To stand on that stage, simple piano accompanying him and give that from-the-heart-this-matters-you matter performance, that breathtakingly beautiful performance, his amazing artistry. That VIP performance would be worthy on any stage anywhere. Everyone on the planet should see that video, it would make their world a better place. My heart feels happy and heavy. Missing him more. Guess it’s just my turn today. Divine humming? << Absolutely!! David is proof of that. PS – perhaps one of you admins could make that pic smaller! I made the book cover picture smaller for you. Very nice job! I hope you build a loyal fan base for your work. Thanks to all who came to Unplugged last night. 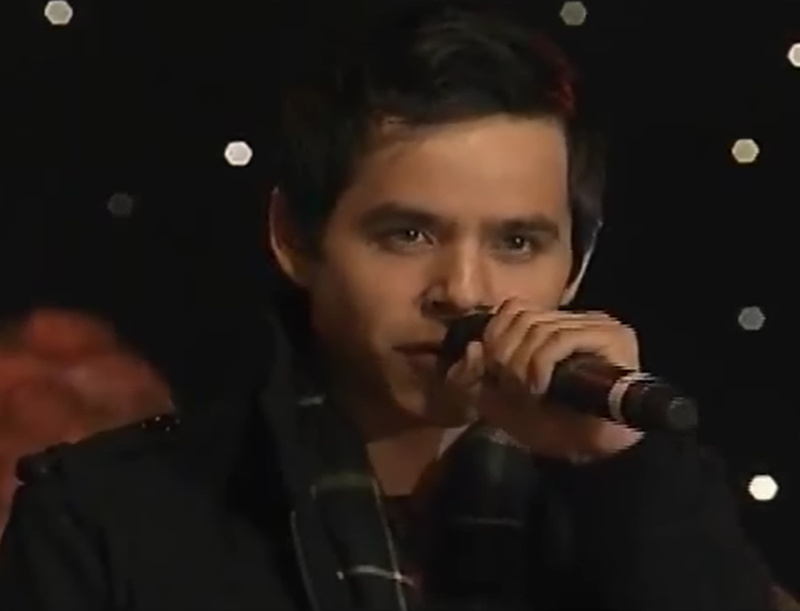 We had a grand time watching “best of” a ton of performances by David. It is great to read your stories. I am thinking that there will be something special coming out about the time that David is coming home. We will remember to send anything that we have to you. I am looking forward to reading your novel. Congratulations! Hope everyone is having a great weekend! David’s Rainbow was playing on repeat in my mind during yesterday’s The Color Run 5K event. Thousands of runners including my kids & I got plastered by rainbow colored powder throughout the course … probably the largest ‘rainbow’ of people you’ll ever see, haha! Sure was messy but had a blast. Well, it’s getting me excited for David’s upcoming Rainbow music video … can’t wait! Dear Georgette & Lizbeth! What a joy it was to read your heartfelt letter. Thank you so much for sharing. Just loved hearing what David means to you as I could absolutely relate to how you feel. Muchas gracias! Dja! Ahhh … you know how much I love the Hannah Montana connection! Thank so much for translating but enjoyed reading it in Spanish too. I now have an App on my phone to help me learn a bit of Spanish. Who knows, maybe I’ll remember enough to sputter something to David when he gets back, lol! Well, I keep hoping for the day when David’s music will be easily available worldwide for all fans to have (as it should be) but until then, I am happy to contribute towards gifting. Winnie; #12 … I can see why you work those looong hours! Jans; #40 … Yes, can’t believe that MKOC was almost a year ago … what an epic concert! Though I’ve yet to hear any of David’s music playing in the stores, it was a pleasant surprise to see that Target had his MoTab’s Glad Christmans Tidings CD in the holiday music section … perfect for gifting! Emme; #43 … Well said! Some of his most memorable improvisations are captured in these unrehearsed impromptu moments … just very thankful to all the fans for capturing these jewels to share with us! Marlie! #46 … Hope your literary career will expand beyond your wildest dreams … congrats! 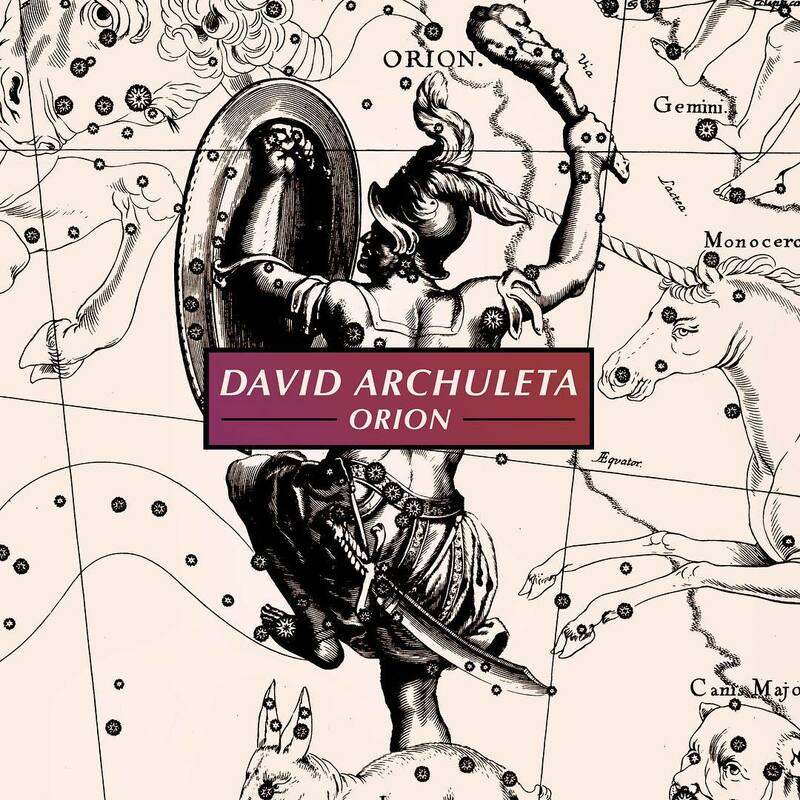 Abrra; #53 … No one does Christmas music like David! The holidays just won’t be the same without David being here. After watching that, I’m missing him even more, sigh. Abrra; Bebe; Marlie; SandyBeaches, Steno & et al; So glad you guys are safe. Keeping in prayer all those who are recovering from the devastating east coast storms. Thank you for thinking about us Blueberry Ice! 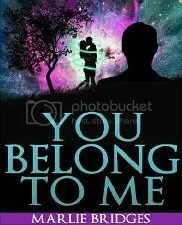 Off to read Marlie’s novel! Abrra….The Christmas Song at post #53 is PURE HEAVEN!!!! 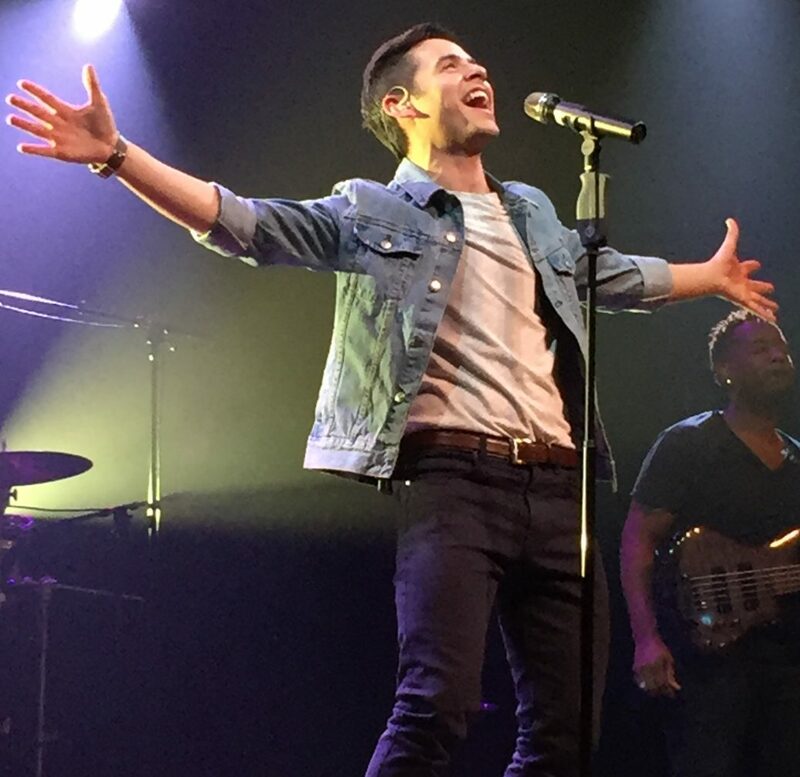 Smooth, soulful, mesmerizing……..ack!…..THAT VOICE!! Met my youngest son’s girlfriend this week. They came home for a day and then went on to Rochester for his alumni event. And guess where she is from….wait for it…wait for it…..Santiago, Chile. I was good, I didn’t even mention David (not yet – next time), because I didn’t want my son to roll his eyes at me. 🙂 She has a beautiful accent and I just love to listen to her speak. She was just there in July (next time I’m going with her hahahaha). She has lived here for 10 years – came to go to an American high school so she could be immersed in English. Heee – that is so random! Congrats on your book, Marlie! It is such an exciting accomplishment! Marlie, your son’s girlfriend sounds like a real cutie. What a great excuse to go to Chile! lol My son’s wife is from India and she is very pretty, inside and out. They have 4 great kids, including the twin boys that just graduated from high school in June. They go to UT in Austin now. Marlie, I got your book 🙂 Congrats.